Are you planning a road trip and you want to visit one of the most popular vacation cities in the world? If so, you are most likely interested in how much that would cost you. Unfortunately, something like this is really hard to analyze. However, the good guys at Gas Buddy and I Drive Safely managed to help people out by offering this really interesting infographics. All the details that would help you are included, allowing you to figure out how much money you would need to pay in a really short period of time. This will definitely make your road trip a lot faster. 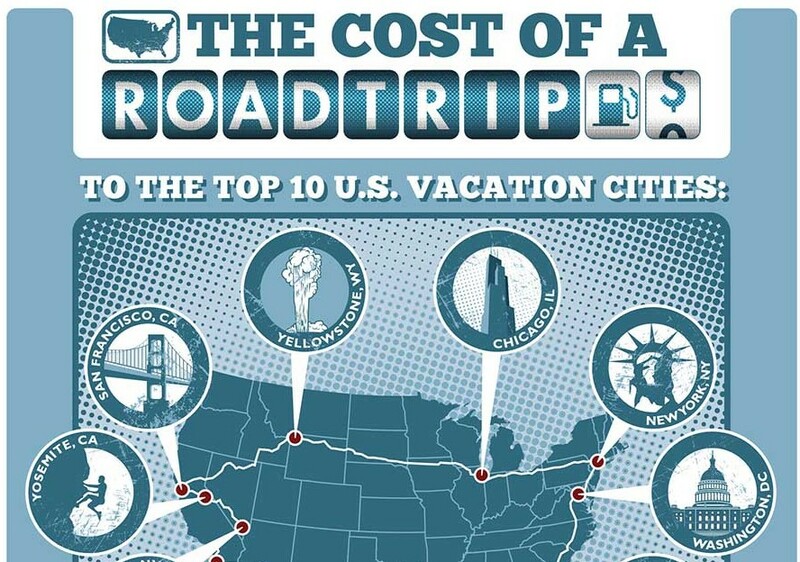 If you want to travel to all the top 10 vacation cities in the US, you will have to travel around 7,600 miles. This is definitely quite a lot, comparable with the difference between Australia and Alaska. A round trip would last around 25 days and besides the gas costs, you will also have to pay for lodging and food, among many others. The infographic that you will see below helps you to plan that visit in a really short period of time because of the advice that is offered. You will get to know average amounts that would need to be paid for food, lodging and for gas, of course. We are quite sure that you will not really like the close to $5,000 total price tag that would be needed. What is interesting with the infographic is that you are also offered advice about what you need to do in order to save money as you travel. That would aid since you would end up with a lower overall price tag at the end of the day. We recommend that you save the infographic on your computer in order to refer to it whenever such a necessity would appear. Planning a perfect road trip does take some time though. Try not to hurry anything and look at the tips offered. The more information you have about the experience, the higher the possibility that you are going to be able to save a lot of money!